According to final results published by the Spanish Securities and Exchange Commission, approximately 95.81 percent of Altadis shareholders accepted Imperial�s takeover bid of 50 euros per share, satisfying the 80 percent minimum threshold required under Spanish law, at which point the offer became unconditional. Since the acceptance rate also cleared the 90 percent threshold, a squeeze-out process requires that all remaining shares be sold to Imperial at the same 50 euro per share offer price. Once these transactions are final, Imperial said that all Altadis shares, which traded on both the Spanish and French stock exchanges, will be delisted. The 12.6 billion euro cash takeover of Altadis will allow Imperial, maker of Davidoff and West brand cigarettes among others, to close the gap on rival Altria Group Inc.�s Philip Morris International, Japan Tobacco Inc., and British American Tobacco PLC. Altadis S.A. manufactures Fortune, Gitanes, and Ducados cigarettes and is also the world�s leading cigar maker and distributor through its Altadis U.S.A. unit and a 50-50 venture with the Cuban state-owned cigar company Habanos S.A. Altadis was formed in 1999 through the merger of French tobacco company Seita and the Spanish tobacco firm Tabacalera de Espa�a S.A. The company�s American subsidiary, Altadis USA, was created in 2000 by the merger of Seita-owned Consolidated Cigar and Tabacalera-owned Havatampa. New York - Altria Group, Inc. has announced it will spin-off 100 percent of the shares of Philip Morris International (PMI) to Altria�s shareholders on March 28, the latest step in the break-up the world�s largest cigarette company. Last year, the company completed a spin-off of its U.S. food group, Kraft. Altria will also close its New York City office and move its headquarters to Richmond, Va., the longtime home of Philip Morris USA. Altria Group will remain the parent company of Philip Morris USA, Inc.; machine-made large cigar manufacturer John Middleton, Inc. which it purchased last November; and Philip Morris Capital Corporation. It will also retain its minority stake in brewer SABMiller. Michael Szymanczyk, currently chief executive officer of Phillip Morris USA, will head the group after the spin-off. Louis Camilleri, currently chief executive of Altria, will become chief of PMI, which will be based in Lausanne, Switzerland but will maintain an office in New York. Miami, FL - Puros Indios Cigars, Inc. has changed its name to Reyes Family Cigars, while company founder Rolando Reyes Senior has promoted his grandson, Carlos Diez, to president of the Honduran cigar maker. 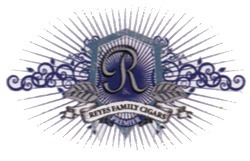 Reyes Family Cigars is also reestablishing the company�s Internet presence with a soon-to-be launched, newly redesigned site and web address, www.reyesfamilycigars.com, to help introduce the new name and assist cigar enthusiasts in learning more about the company�s history and Puros Indios, Cuba Aliados and Anniversary, Viejo, Cienfuegos, Maxima Reserva, and Roly brands. New branding has also been introduced, with an ornate new blue-hued corporate logo that includes shadowed double �R� and a halo of light rays. Danbury, CT - Taboca USA Inc., a smokeless tobacco company whose products are based on the Swedish smokeless manufacturing process (snus), announced that it has changed its corporate name to Nordic American Smokeless, Inc.
Darren Quinn, president and c.e.o., said, �the name change more closely reflects our Company�s core strength in manufacturing smokeless tobacco products based on Swedish snus technology combined with our expertise in marketing smokeless tobacco products to adult American consumers.� Quinn also indicated that Nordic American Smokeless Inc. is on track to launch its flagship products early this year. Nordic American Smokeless, Inc. is based in Danbury, Conn. The company is an affiliate of the Norwegian snus manufacturer Taboca A/S, which is headquartered in Oslo, Norway. On January 16, Philip Morris USA, a unit of Altria Group Inc., sued Taboca AS, asking a federal judge to stop the rival�s use of a trademark in the United States. 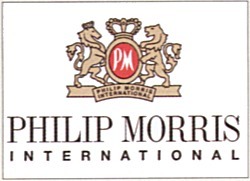 Philip Morris, which owns the identically-pronounced trademark �Taboka,� said it has been selling �smoke-free, spit-free tobacco pouches� using the name since mid-2006. The Norwegian firm has a joint venture with Reynolds American Inc.�s R.J. Reynolds Tobacco Co. to sell tobacco under the Taboca name, Philip Morris said. �Defendants have forged ahead with plans to launch the identical product [smokeless tobacco] under the nearly identical mark,� which �is likely to cause consumers to be confused and deceived,� according to the lawsuit filed in U.S. District Court in Wilmington, Del. In January, Philip Morris said it was discontinuing its Indianapolis test market of Taboka but expanding its test market of Marlboro snus to the Indianapolis area in March following market tests in the Dallas/Fort Worth area underway since August. In December, the U.S. Patent and Trademark Office dismissed Taboca AS�s opposition to Philip Morris USA�s use of the trademark Taboka for tobacco products. Kansas City, MO - Xikar, Inc., a worldwide designer and distributor of premium cigar accessories, announced the acquisition of Madelaine Humidification Systems of Willits, Calif. The acquisition adds a full line of humidification systems and humidors to complete Xikar�s offering of cigar accessories which already includes the world�s number-one-selling cigar cutter line - the Xi3 - as well as lighters, containers, and humidification systems. Established in 1996, Madelaine Humidification Systems grew its business from hand-made humidors into a full line of U.S.-manufactured humidification products and top-quality humidors. Both Xikar and Madelaine products are sold domestically and internationally. Effective immediately, Xikar, Inc. will distribute all Madelaine brand products (www.madelaine.com) from its own Kansas City, Mo. headquarters. Madelaine founder and co-owner Jon Bixler will maintain a limited role in the business, consulting with Xikar executives over the next two years. Xikar officials say some Madelaine products will continue to be sold under the original brand, noting niche brand equity that�s already well-established in the marketplace. Miami, FL - Hungarian-based cigarette manufacturer Continental Tobacco Corp. (CTC), through its recently-established Continental Tobacco USA, LLC subsidiary, is poised to launch its first products into the U.S. market and will unveil merchandise at the Tobacco Plus Expo in Las Vegas April 24�25, 2008. Since its incorporation in March 2007, Continental Tobacco USA has applied to join the Master Settlement Agreement (approval pending), while all other applicable U.S. Federal licensing and approvals for the distribution and sale of tobacco products in the U.S. have already been received. CTC�s Hungarian tobacco factory was established in 1891 and for a century run by the Hungarian state and subsequent private owners. In 1998, CTC - a private company formed and owned by two Hungarian families - purchased the factory from R.J. Reynolds International. Companies to support the growing cigarette business were established, including Dofer, the second-largest buyer and processor of Hungarian-grown Virginia and Burley tobaccos, and Tab�n Trafik, a distribution firm. Sister companies were also established in Romania and Slovakia, and - following Hungary�s acceptance to the European Union in May 2004 - in Germany, Italy, and the Netherlands. CTC now employs more than 500 people in seven countries, with its strongest export presence in Germany. The company produces high-quality cigarettes in various styles and packaging, RYO/MYO in pouch or can, machine-made filter cigarillos, and cigarette-filter tubes. European market trends have also resulted in Continental�s most recent investment in and development of a flavored-cigarette line packaged in round-corner hard packs. Continental Tobacco USA, LLC., 1221 Brickell Ave., Ste 922, Miami, FL 33131, Tel: (305) 347-5136, Fax: (305) 374-6146, Web: www.continentaltobacc.com. Mayodan, NC - Cigarette distributor General Tobacco has completed the relocation of its corporate headquarters from Miami, Fla. to Mayodan, N.C. The move encompass the relocation of current warehousing and manufacturing facilities to Mayodan. With the delivery and installation of state-of-the-art equipment, GT will manufacture an entirely U.S.-produced line of products. �We have made not only a business commitment to Mayodan but a personal one as well,� said J. Ronald Denman, executive vice president and general counsel of General Tobacco. General Tobacco is the sixth largest tobacco company in the nation with approximately $300 million in annual sales and is a full participating member of the Master Settlement Agreement. The company produces GT One value-priced cigarettes and premium menthol 32 Degrees and distributes Bronco, Silver, Vaquero Little Cigars.